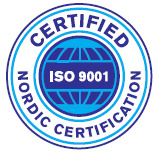 We are pleased to announce that ICU Scandinavia AB, from 2018-09-05 is certified according to ISO 9001 and ISO 14001. Our work on the actual certification process has been ongoing since the beginning of 2018. 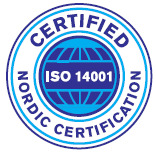 The fact that ICU Scandinavia is now certified according to ISO 14001: 2015 and ISO 9001: 2015 means that both quality management systems and environmental management systems comply with international standards. That creates good conditions for resource-efficiency and quality-assured processes – and most importantly increased security for you as a customer. ISO 9001 is an international standard for quality management systems. A tool for creating customer satisfaction as well as developing and improving the quality of the company’s products and services. ISO 9001 demands improvement and development of company methods and processes. ISO 14001 is also an international standard but constitutes an environmental management system that enables efficient and structured environmental work. The system is a tool that will provide a working model for continuous improvement and control of the company’s environmental aspects, ie the company’s impact on the environment, eg. emissions to air, soil or water. “We are committed to constantly developing and improving our internal processes. The certification is proof that we have a systematic approach to developing our processes and working methods for continuous improvement. We are very proud of the certification and are now working on using the system and to further develop it to support our improvement work as much as possible, “says Thomas Jonsson, CEO of ICU Scandinavia AB. “Working according to quality routines is nothing new to us, we have always aimed at high quality in everything we do. Quality work is also about having good communication routes, engaging employees, constantly developing their skills, and having a methodology for preventing and correcting problem areas. This certification proves that ICU Scandinavia’s quality work is sufficient, “says Ulf Strandh Quality Manager at ICU Scandinavia AB.